An afternoon with the kiddies today, and what better than a walk through the leafy streets of Trinity and Boswall. Along the way this zebra crossing caught my eye, not sure why, I just like the composition. 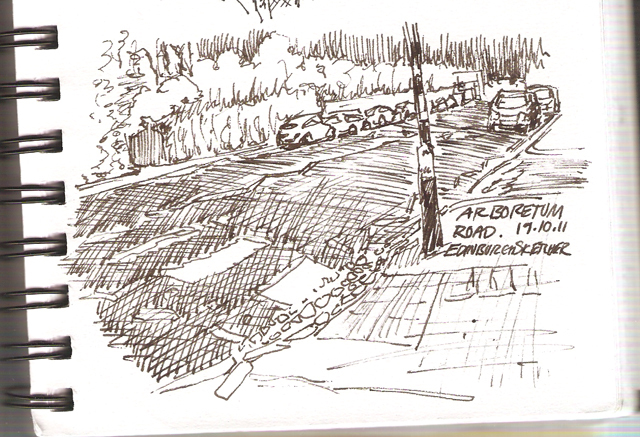 Arboretum road on which the crossing lies runs from Ferry Road to Invereith Place and the Royal Botanic Gardens. A lovely walk and so lucky to have it all, just around the bend.